Maryland supporters of allowing federal employees who must work during a government shutdown without pay to collect unemployment benefits are hoping to advance legislation as soon as this week. ANNAPOLIS, Md. (AP) — Maryland supporters of allowing federal employees who must work during a government shutdown without pay to collect unemployment benefits are hoping to advance legislation as soon as this week. A Senate committee held a hearing Tuesday and a House committee held a hearing last week. Lawmakers filed the legislation in response to the recent 35-day shutdown. Lawmakers have filed the bill as emergency legislation, hoping it would take effect quickly. The measure's supporters have expressed concern about another potential shutdown after Feb. 15. A spokeswoman for Gov. Larry Hogan says he supports measures to ensure no federal employees are forced to go without access to assistance, and he'll closely consider any legislation. 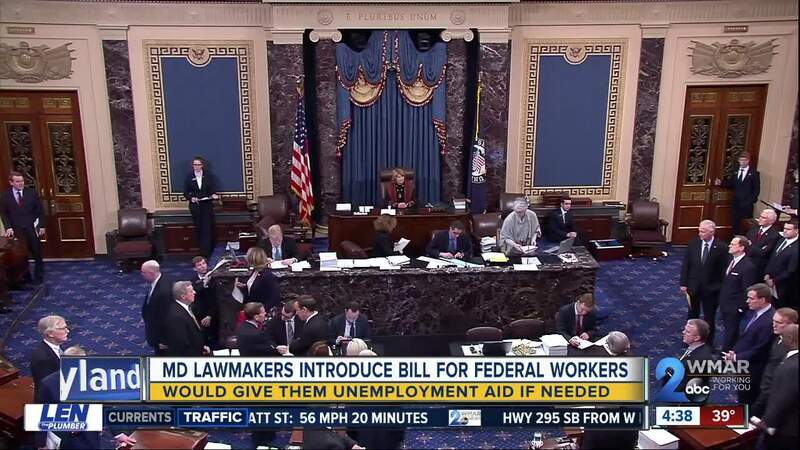 The bill would need confirmation from federal labor officials that the state is complying with the unemployment insurance program.